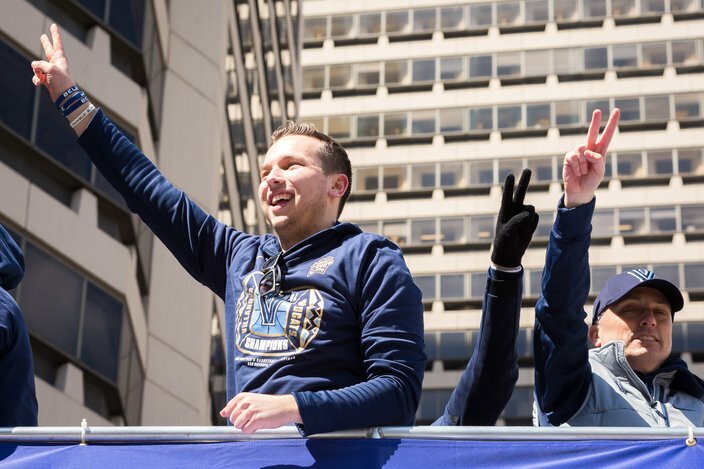 Thousands of fans swarmed Center City on Thursday to celebrate the Villanova men's basketball team's second NCAA Championship victory in three seasons with a parade along Market Street. 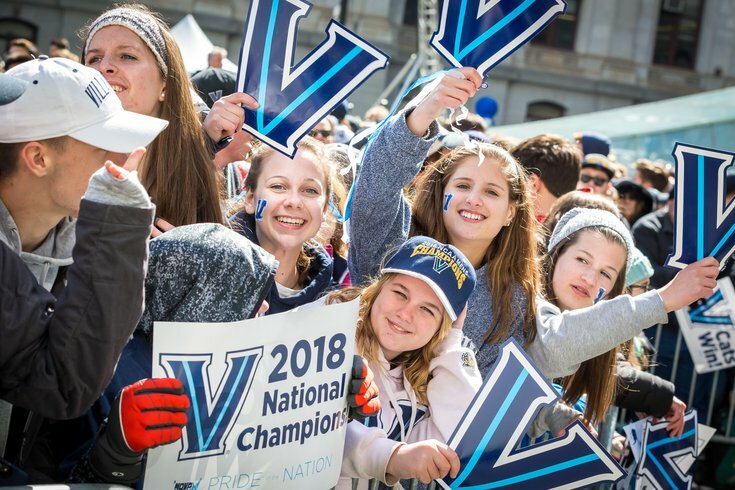 The celebration continued with a rally at Dilworth Park as the team and coach Jay Wright were greeted by an exuberant crowd. Here is a gallery of images from the celebrations. Villanova basketball players parade around City Hall during Thursday's championship parade, April 5, 2018. 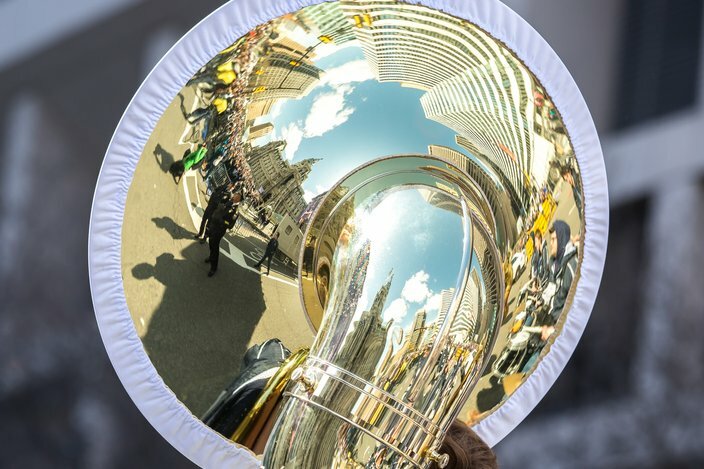 A reflection of Philadelphia City Hall and fans at DIlworth Park is seen from the back of a member's instrument in the Villanova University Band. 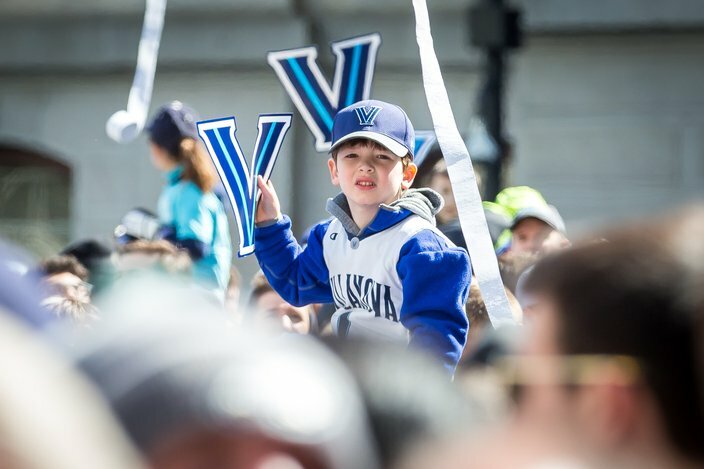 Young fans along South Penn Square near City Hall wait for the Villanova men's basketball team to arrive for ceremonies during the championship parade, Thursday, April 5, 2018. 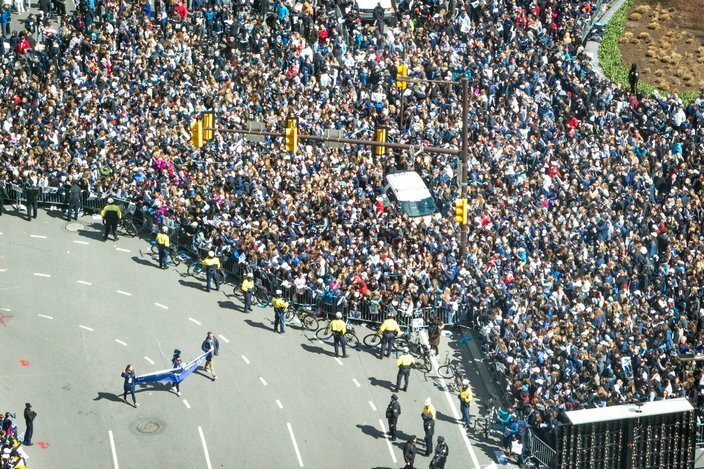 Villanova players parade around City Hall on Thursday, April 5, 2018. 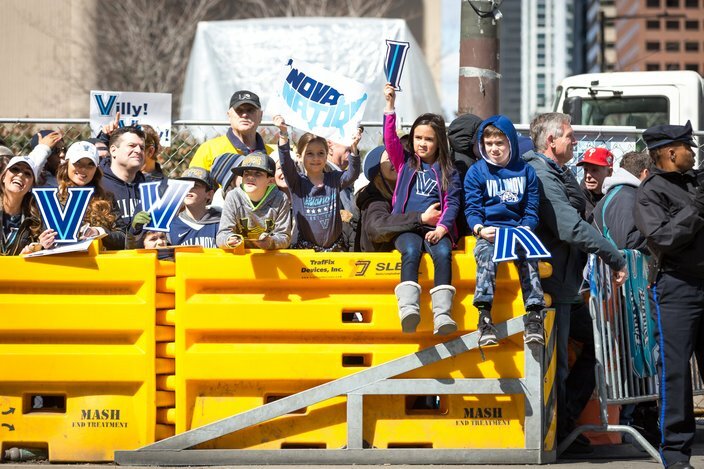 A young Villanova fan at Dilworth Park awaits the arrival of the championship team on Thursday, April 5, 2018. 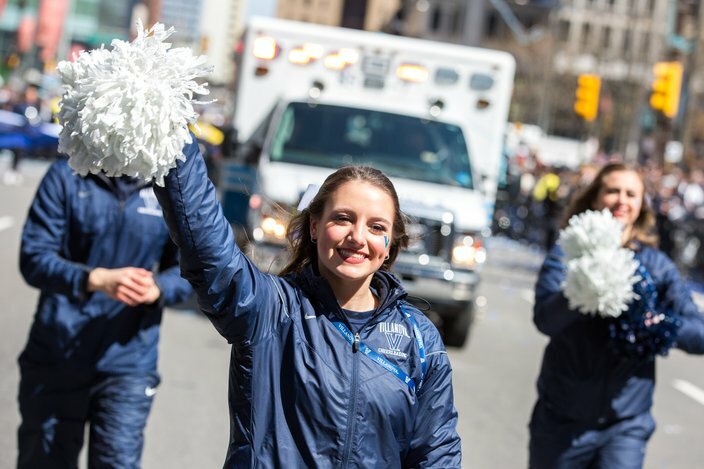 Villanova Wildcats cheerleaders parade around City Hall during Thursday's celebration. 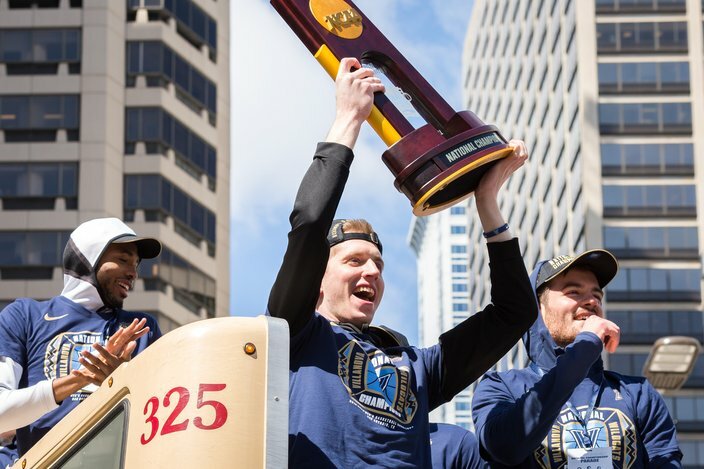 It was the second championship parade down Market Street in three seasons for Villanova on Thursday, April 5, 2018.